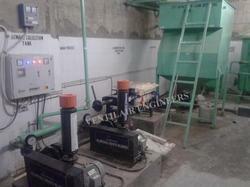 We are offering Commercial Sewage Treatment Plants. Ventilair Engineers offer most effective Sewage treatment plants for commercial space. hospitals/ colleges hotels canteen, restaurant, banquet hall that takes care of eliminating sewage making the place clean and free of all elements causing health hazards. Our sewage treatment plant (STP) for bio-medical waste from hospitals has come as a boon to the overall environment health in this crucial sectors. Our STP is further credited with doing away with all hazardous residues after the clean up work is completed. Ventilair Engineers offer most effective Sewage treatment plants for commercial space. hospitals/ colleges hotels canteen, restuarant, benquet hall that takes care of eliminating sewage making the place clean and free of all elements causing health hazards. Our sewage treatment plant (STP) for bio-medical waste from hospitals has come as a boon to the overall environment health in this crucial sectors. Our STP is further credited with doing away with all hazardous residues after the clean up work is completed. Packaging Details: SCREEN, TUBE SETTLER/ CLARIFIER, ACTIVATED FILTER, SAND FILTER, FLAT FARM WITH LADDER, FILTER FEED TANK, FILTER PRESS,OZONATOR, WATER SOFTNER, LTRA FILTRATION SYSTEM FILTER PRESS FEEF PUMP, SEWAGE TRANSFER PUMP, FILTER FEED PUMP, SLUDGE TRANSFER PUMP, PLANT ROOM SUMP PUMP, TWIN LOBE AIR BLOWER, ELECTRICAL PANEL WITH ENERGY METER, DOSING PUMP, WATER FLW METER , ELECTROMAGNETIC, ONLINE PH METER WATER FLOW METER, OIL SKIMMER, OIL & GREASE TRAP, AGITATOR,DOSING TANK, AIRRIATION WITH PIPING & DIFFUSER, GI PIPING & FITTINGS WITH BALL VALUE, BIO-PACK MEDIA, TUBE DECK MEDIA. We are offering Household Sewage Treatment Plant. Size: 1.0mtr width x 1.6tr Length x 2.0mtr ht - 5.0mtr width x 1.5tr Length x 2.5mtr ht. 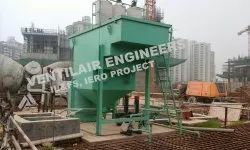 Our company “ Ventilair Engineers” offers exclusively designed range of Sewage Treatment Plants. As the products offered by our organization are the most scientific and accurate in getting rid of the sewage in most effective manner, these are widely used for various application areas like growing demands of Water, Industrial waste and Effluent treatment plants. These products are made as per the set international standards and are made as per the customized facility. All our products are stringently quality tested under various parameters. STP For Residential Colonies, apartment, housing Project Etc. 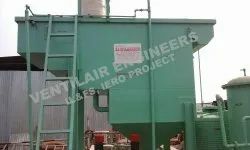 "Ventilair engineers" is a leading manufacturer supplier company of sewage treatment plants for labour camp in india. We have already installed 700 above waste water treatment plants in india and also in abroad. Ventilair engineers have also installed sewage treatment plant for labour camp. This unit is designed and installed for m/s. Omp india pvt. Ltd. By ventilair engineers. Large scale construction project go on for 4 to 5 years this construction site need water treatment facility, especially domestic sewage from the Labourers working at site. The most common method to deal with daily sewage water is to transport domestic sewage using tankers, but this process is time consuming expensive. Often you face problems from the local environment municipal bodies. 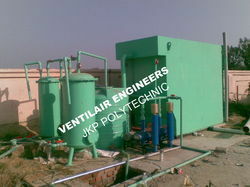 Ventilair Engineers have a specialised sewage water treatment system designed for Labour Camp. 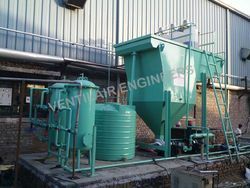 Ventilair engineers provides sewage treatment plants for institutions /collage/school.Our company “VENTILAIR ENGINEERS” offers exclusively designed range of Sewage Treatment Plants. As the products offered by our organization are the most scientific and accurate in getting rid of the sewage in most effective manner, these are widely used for various application areas like growing demands of Water, Industrial waste and Effluent treatment plants. - stp for residential colonies,apartment,housing project etc.